The rent at 2103 Grant Street Apartments ranges from $650 for a two bedroom to a $675 two bedroom. Apartments in this building are about 33% less expensive than the Downtown average. This is a cat-friendly apartment. This apartment is in the Downtown neighborhood in Bettendorf. Nearby parks include Sunny Crest Park, Lincoln Park and McManus Park. 2103 Grant Street Apartments has a Walk Score of 59 out of 100. This location is Somewhat Walkable so some errands can be accomplished on foot. 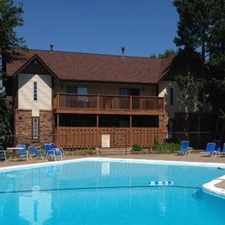 Downtown Townhomes - ** SPECIAL -- 1/2 off 1st month's rent. Must apply within 24 hours and sign a lease within 7 days of approved application. Cozy 2 bed 1 bath townhouse located in the place YOU want to be. Near dinning, shopping, river front and so much more. Freshly updated with open concept living. Washer and dryer hooks up, basement for storage and central air. Please call our office today to schedule a tour and see why this property is the perfect place to call home! Explore how far you can travel by car, bus, bike and foot from 2103 Grant Street Apartments. 2103 Grant Street Apartments is in the Downtown neighborhood. Downtown is the most walkable neighborhood in Bettendorf with a neighborhood Walk Score of 58.